I drew the pieces on paper to use as a pattern and cut the pieces out of the fabric. If using corduroy, be prepared for a mess since it sheds and frays easily. I kept my lint roller on stand-by. 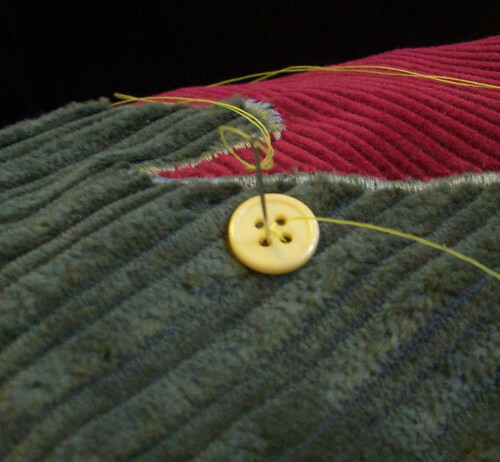 I pinned the pieces in place on the pillow fabric and, since corduroy does shed, used a satin stitch in matching thread to attach to the fabric. 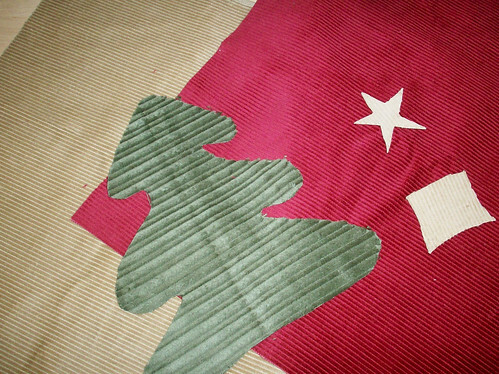 If I was using a non-fraying fabric, I probably would've used a blind or blanket stitch by hand. 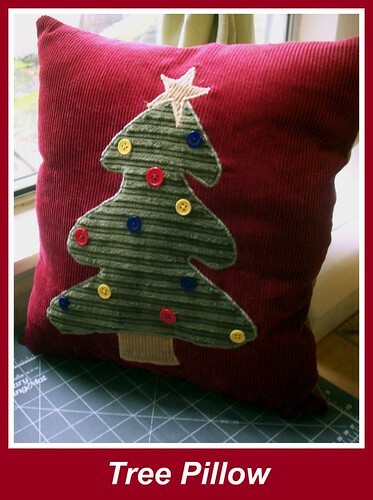 Once all the pieces were attached, I sewed on some buttons I had laying around as ornaments. 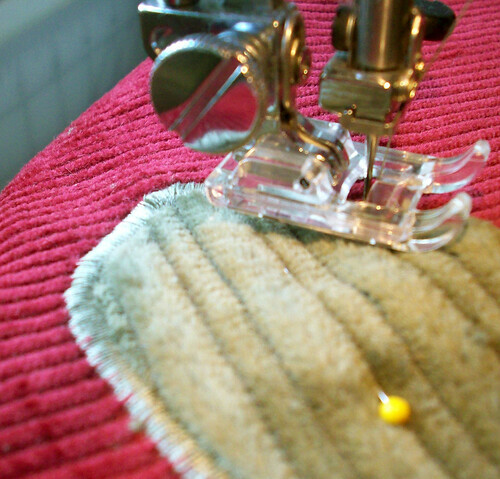 Sew the front and back sides of the pillow with wrong sides together, turn, stuff, and finish. And Voila!